Wine is one of the oldest drinks known to mankind. Although historians may not be entirely sure that this is how the fermentation of wine started, an overview of the history of wine is full of interesting tidbits. 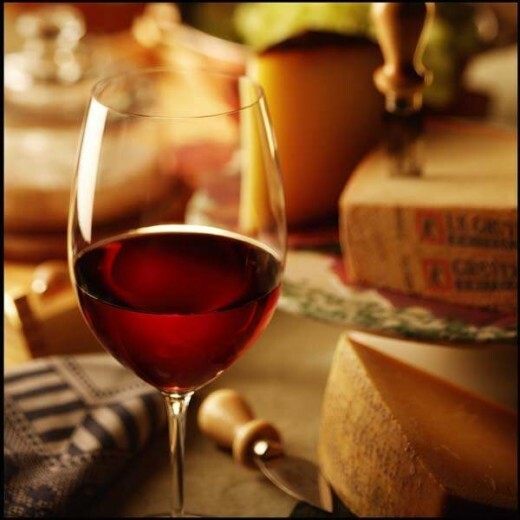 Made of fermented grape juice, wine is an alcoholic beverage that is both made and drunk in many parts of the world. The history of wine starts over 5000 years ago. It was said to have been discovered when grapes were left for too long in amphorae or earthenware jugs. These grapes somehow became tainted with wild yeast, which caused the grapes to ferment. Some courageous individual took a drink and realized the fermentation process had produced something that would be come known as wine. There are several different basic types of wine. The most basic breakdown is red wine and white wine. When the grapes that make these varieties of wine are combined, a rose or blush wine can be created. If the wine is allowed to ferment in a way that produces carbon dioxide bubbles, it becomes a sparkling wine. If the sparkling wine comes from a particular region in France called Champagne, it is known as Champagne. There are also fortified wines – these wines are also fermented from grapes, but additional amounts of alcohol from other sources are added to the wine to raise its alcohol content. An example of a fortified wine is brandy. Making wine is not an easy process – the fermentation of a really good wine may take years or even decades to complete. The type of oak barrel that wine is typically fermented in is also the result of a difficult process. Out of the 400 species of oak that grow on Earth, only 20 species are used in oak barrels for winemaking. Of those 20 species, only 5 percent of the wood taken from these trees is deemed good enough to be made into wine barrels. The amount of grapes needed to produce quality wine is another of the many mind boggling wine tidbits known. Generally, it takes four clusters or 300 grapes to produce just one bottle of wine. Since there are only about 40 clusters of grapes produced on a grapevine per year, this means that each vine is only capable of making 10 bottles of wine. Given this fact, it is pretty amazing that wine is as cheap as we find it. As you can see, wine is a not a simple fermentation process. The next time you drink a glass of your favorite chardonnay, think about the difficult journey that it made from grape to bottle. Soft, rich cheeses without overpowering flavors are best with fine, older wines. Wow...I suggest you Porto's wine cup, specially if it is a Vintage. (also a LBV late bottled vintage isn't bad :). Delicious. Drinks of Gods? That's the first. I never thought Gods were into drinking, but you're very right about the drink being very old. That what makes it vintage too, you know.